I thought the swoon worthy actors seemed lonely so I decided to give them some company. Here are my actresses who I'd watch read the phonebook. Katharine Hepburn: Did she ever give a weak or boring performance? I can't think of one. From the flimsiest comedy to drama with a capital, "D" she was always a pro. Though Bringing Up Baby is my favorite I have a soft spot for all her films with Cary Grant, especially Philadelphia Story which was more or less created with her in mind. I know this picture has Jimmy Stewart in it too, but Kate looks so pretty, I couldn't resist. 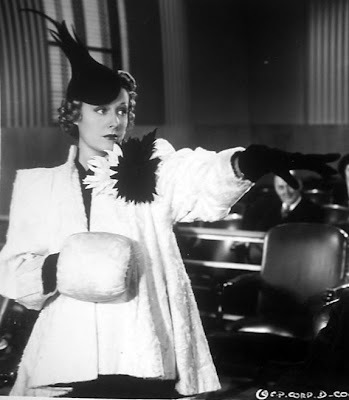 Irene Dunne: Another actress who was at her best when she was with Cary Grant, nevertheless she made some great movies with other people too (Theodora Goes Wild, Love Affair, I Remember Mama ) Favorite Film: The Awful Truth Favorite Hat: see above. Barbara Stanwyck: While I adore her comedies, Barbara can get me to watch her in anything. 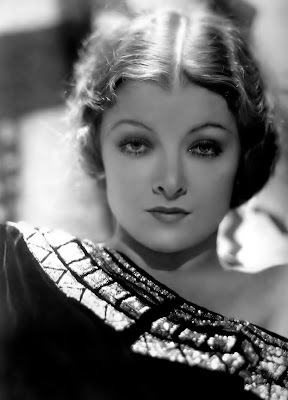 I must have watched half a dozen of her pre-code melodramas last year and I never tired of her. She certainly knows when to show a little leg, doesn't she? I love that about Babs. Favorite Film: Ball of Fire. 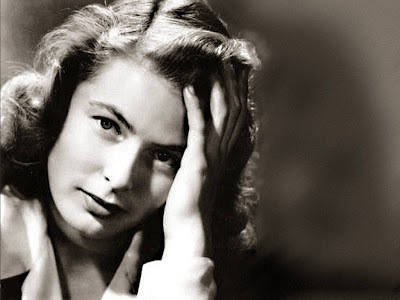 Ingrid Bergman: Woody Gutherie wrote an unpublished song about Ingrid Bergman after seeing her in Stromboli. That's how hot she was. Yet, she didn't really seem aware of that and she put forth both vulnerability and a down to earth quality that I've always appreciated. Favorite Film: Notorious and Spellbound. 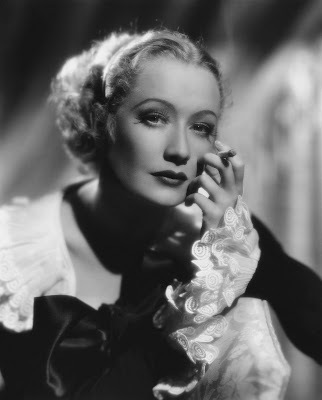 Miriam Hopkins: I've only seen four of her films but all of them have blown me away so I'm putting her in here. Hopkins seems like she could survive today and be just as versatile and popular as she was in the early 30s. The roles she created for Lubitsch films feel completely modern. 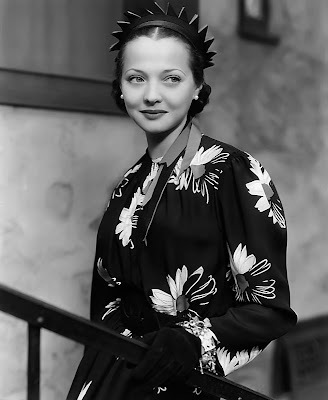 With her ability to change her look for any part she didn't really mesh with the glamor machine of the studio system and I think she would have fared better in a more independent climate. Favorite Film: Trouble in Paradise, Design for Living and Smiling Lieutenant. 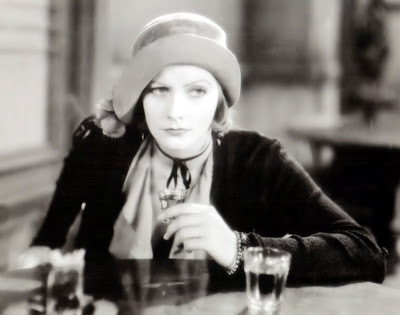 Greta Garbo: Smarter people than I have tried and failed to sum up Garbo's appeal. Simply put she is the quintessential movie star. Favorite film: Ninotchka. 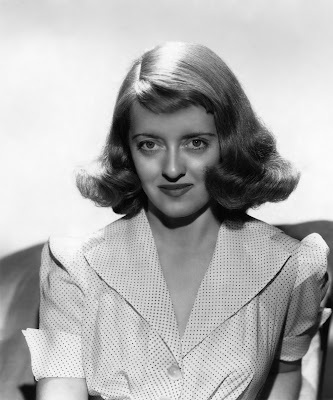 Bette Davis: Even as a very young, inexperienced actress, Bette Davis put forth a feeling of worldliness and sophistication in every role she played. She must have come out of the womb a little jaded, I think. Favorite Film: All About Eve. 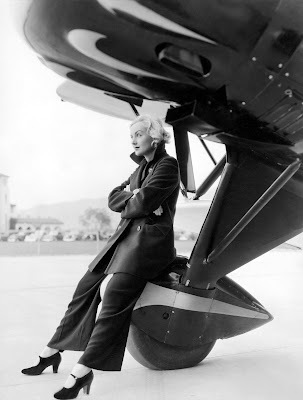 Carole Lombard: This has to be the most awesome picture ever. Even if I wasn't going to put Lombard on my list, this picture would have shown up in Eye Candy sooner or later. She's pretty much the queen of my favorite film genre, Screwball Comedy. Favorite film: My Man Godfrey, Mr. and Mrs. Smith and To Be or Not To Be. 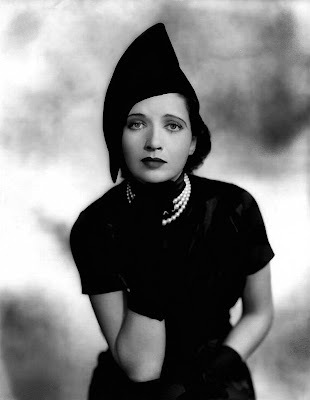 Kay Francis: She created strong female characters with careers and minds of their own. She was also a style icon which seems like it would require no talent, but I suggest that not just anyone could pull off some of the outlandish creations she wore rather casually in her films. The Code more or less killed her popularity, but she has had lately the revival she was due. Favorite film: Trouble in Paradise. Sylvia Sydney: She was a good actress, but really I just love her because she's so adorable. I know that sounds lame but I can't help it. She is cuter than the most precious object on Mod Cloth. Favorite Film: Thirty Day Princess. 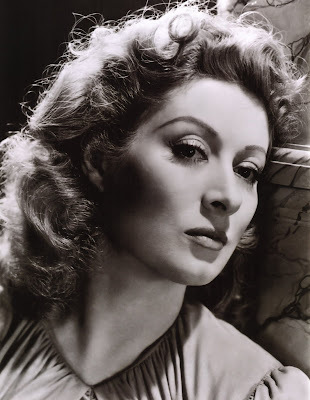 Greer Garson: The first Greer Garson movie I ever saw was Pride and Prejudice and I became an instant fan. Favorite film: Goodbye Mr. Chips. I love your list Jenny. Great pics and great write-ups about each actress. I wouldn't disagree on any of the choices you made. And I love that Carole Lombard pic too. I may end up using on my blog since she is my favorite actress of all time. I love everyone on this list! I'm especially glad you have Miriam Hopkins on there, she's so underrated and one of my all-time favorites! Fantastic list!!! I would only add Debroah Kerr. 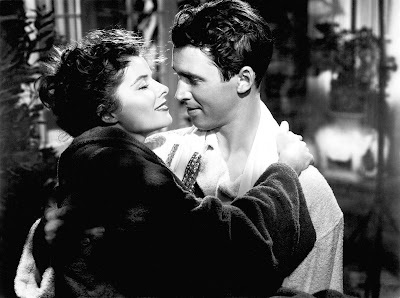 I'm beginning to wonder if I'm the only person who finds Kate Hepburn lacklustre as an actress. Please don't hurt me! But I adore Irene Dunne and Ingrid Bergman. P.S. Would like to add I think Kate Hepburn was an amazing woman, though. Just not sold on her acting. It leaves me cold. Monty: The pic is from Doctor macro, so make sure to credit him. Broadway Baby: D'oh! She slipped my mind. I knew I needed more Brits on there, I just couldn't think. Andi, wow, usually the responses to KH are either love or hate. It's rare to find someone who's like, "shrug." I tend to gravitate toward actresses who are high strung. I wonder why? Maybe it's cause I'm a little tweaky myself? Nah. Kate Gabrielle: Miriam Hopkins is amazing. Sometimes my elaborate fantasies about classic movies just involve my favorite actors and actresses making more movies than they did. To the point of me wanting to take roles away from others and give them to the under-rated, unsung actor or actress. So long story short: she should have had more great parts. Great list. Again, later than your actresses, but I'd watch Maureen O'Hara read a phone book, though I'd be afraid she'd hit me with it afterward. Same with Elizabeth Hartman (okay, now you can look her up too). 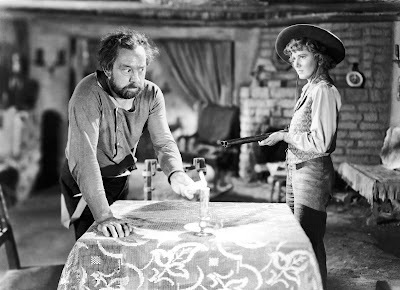 Steve, I feel like I haven't seen enough Maureen O'Hara films to really put her on my list. But what I have seen I've definitely liked. She's so beautiful and feisty. I did have to look up Elizabeth Hartman. I have seen patch of blue, but forgot her name.